Paleontologists have reconstructed a model of the Kairuku penguin that stood almost 4 feet 6 inches in height in what’s now New Zealand. The Kairuku penguin lived approximately 25 million years ago, in the Oligocene epoch, in the Chattian age. The Oligocene is often viewed by paleontologists as a time of transition, between the archaic world of the tropical Eocene and the modern Miocene. The major changes during the Oligocene included a global expansion of grasslands and the regression of tropical board leafed forests to the equatorial belt. The start of the Oligocene is marked by the Eocene-Oligoscene extinction event that is also known as the Grande Coupure, which was marked by large-scale extinction and floral and faunal turnover, from European to Asian. The Oligocene-Miocene boundary is not easily identified worldwide, but it can be seen in regional boundaries. 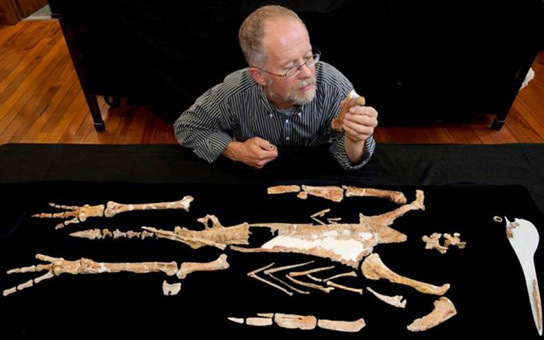 The Kairuku, a Maori word that stands for diver who returns with food, was reconstructed from fossilized bones that were collected in 1977 by Ewan Fordyce, a paleontologist from the University of Otago, in New Zealand. Dan Ksepka, from North Carolina State University, was first interested by the bones because of the unusual shape of the body that they suggested. 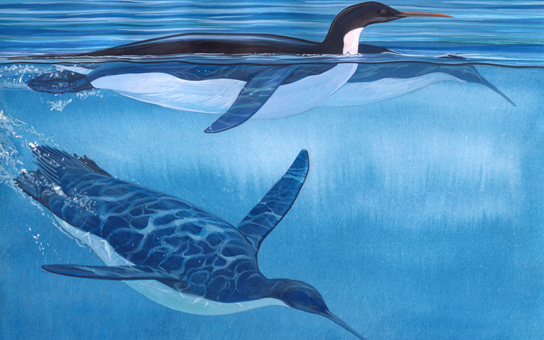 The Kairuku was an elegant bird, with a slender body, long flippers, and short, thick legs and feet. The unusual shape would have made the reconstruction stand six feet tall, if they would have used an extrapolation based upon the length of the flippers. The reconstruction was built using two separate fossils and the skeleton of an existing king penguin. The Kairuku would have been the largest of the five species that lived in New Zealand during the Oligocene. The results of the research were published in the Journal of Vertebrate Paleontology. 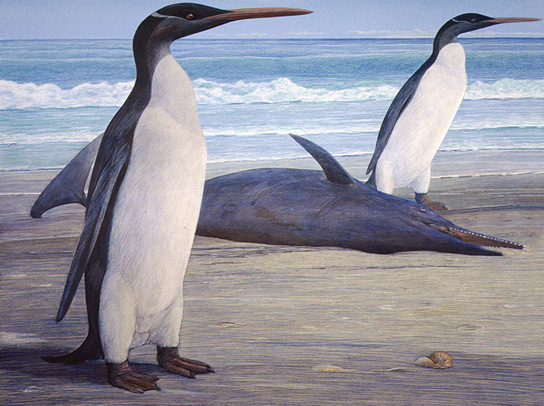 Be the first to comment on "Giant Oligocene Kairuku Penguins Stood Nearly Five Feet Tall"